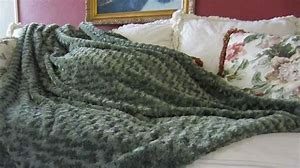 Many weighted blankets use thick fabrics such as Minky Dot fleece. While it may be warm and cozy, cotton doesn’t breathe well and tend to retain heat, making it very uncomfortable later on. Cotton is a naturally breathable and cool option, but bamboo is even better because it is more absorbent. It’s among the most effective materials available out there for retaining moisture from the skin. It also allows moisture to evaporate much quicker than cotton, preventing it from sticking to the skin. These are all factors that help you stay clean, dry, and fresh. Bamboo has a thermo-regulating feature – a process which helps your body maintain its core internal temperature. So apart from its natural cooling mechanism, bamboo weighted blankets will also keep you warm during the cold months by trapping air in its fibres. It can also adjust accordingly, cooling you down during the summer months as well. This feature makes bamboo weighted blankets a great option to use all year round. If you’re sceptical about bamboo weighted blankets, thinking that it might feel a little rough, you ought to know that bamboo viscose or lyocell is very comfortable. Many weighted blanket users are starting to prefer bamboo for its softer and silkier fabrics. They even claim that it’s much better than cotton variants. Furthermore, bamboo fabrics are anti-static and can drape well around your body. That way, you don’t need to worry about any clinging. If you’ve already started using weighted blankets and aren’t seeing any difference from your original quilt, you might want to make a switch to a bamboo weighted blanket. It’s much better across the board and can give you a great experience.